Film Crew Returning to Africa in 10 Days!! On the 28th of February our crew is heading back to Uganda, and this time we are also hoping to make it to Eastern DRC (Democratic Republic of Congo)- closer to current LRA rebel activity. 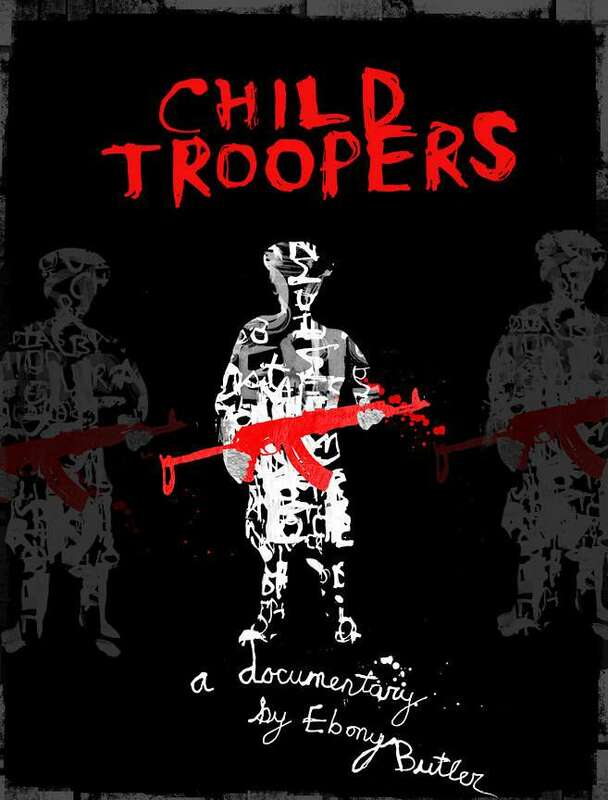 We will be spending 5 weeks on the continent, completing the last stages of filming for our feature documentary Child Troopers, which has now been 3 years in the making. This time we are returning with a new all Australian team, together with Bikes 4 Life volunteers from Melbourne, as well as our local crew on the ground in Uganda. We will also be distributing bicycles to remote war-affected communities (see: www.bikes4life.com.au). One of the our latest additions to the team is one of Australia’s finest cinematographers, Mr Marcus Dineen. Marcus is flying in from Sweden to work with us and shoot some beautiful footage for our film. Very excited to have Marcus working on Child Troopers with us! Further to that excitement, I am very pleased to announce that Sabina Paisa, associate producer of Child Troopers, will also be traveling with us to Africa at the end of the month! It was a last-minute decision, made possible by one of latest EP’s, Michael Schmidt. We cannot thank Michael enough for being such a great support and huge part of this production! Keep checking this site as we will post updates as soon as we are on the ground and have access to the internet! But basically, while away we will be working with kids and community groups in the capital city (Kampala), traveling out to slums on the outskirts of the city and getting some projects assessed for future partnerships with Bikes 4 Life… then we will be heading north towards South Sudan, to a place called Pader where we will be working with former child soldiers and victims of the war. Further to that, while in the north, we will be distributing bicycles to people in remote villages and camps, setting up a bike education and vocational training centre at Friends of Orphans in Pader and filming the Bikes 4 Life journey and Child Troopers documentary at the same time! Our 5 week East and Central African expedition is going to be quite an adventure so make sure you follow us online, via Facebook or Twitter and see what we get up to! Wish us luck on our journey…. We look forward to sharing our experience with you and thank you for your support! If you are in Melbourne, please come down to our farewell event, UGANDA BOUND at the Half Moon in Church Street Brighton on Sunday the 26th of February. 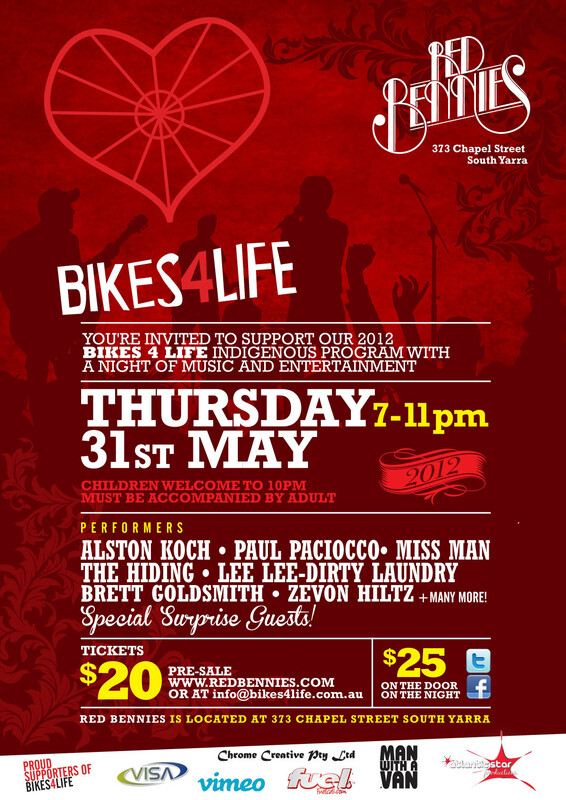 See: www.bikes4life.com.au for more info! It is with pleasure and great excitement that I announce Bikes 4 Life’s newest sponsor, Visa Global Logistics. Visa Global came on board with Bikes 4 Life after their marketing manager, Joe Cetin, saw the segment on The Project on Channel 10 just a few weeks ago. 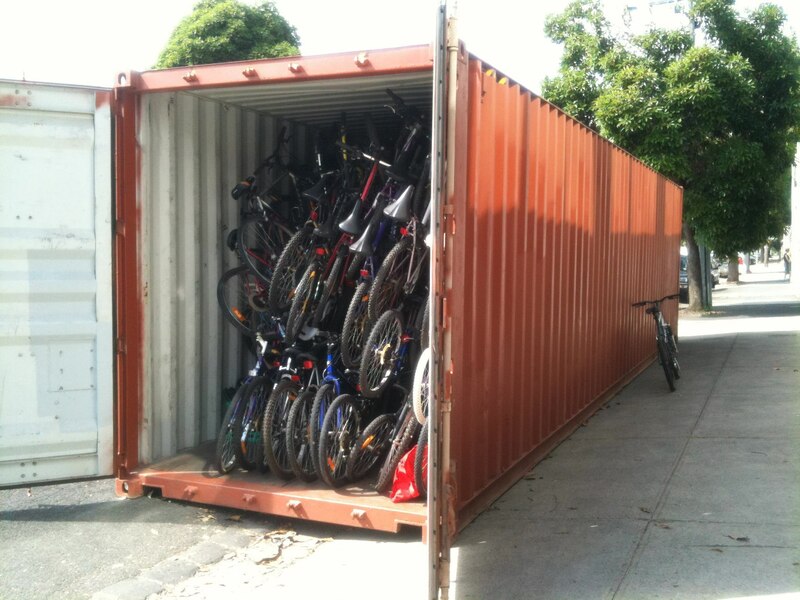 Australian owned company, Visa Global Logistics is now Bikes 4 Life’s official shipping sponsor, who will oversee the first shipment of bikes to Africa, scheduled to leave Melbourne on the 11th of January 2012. In February, the Bikes 4 Life and Child Troopers crew will be setting up a Bikes 4 Life Workshop and Vocational Training Program in Uganda, at our partner organization and child soldier rehabilitation center, Friends of Orphans. The 40 foot shipping container donated by Ex-Pat Deli and decked out by ANL, will become the actual workshop in Pader, Northern Uganda at the Friends of Orphans site. Our container packed and almost ready to go!! The program is aimed at not only assisting in the rehabilitation and re-integration efforts at FRO, for the hundreds of young traumatized victims and former child soldiers of a brutal civil war, but it is also aimed at giving them an opportunity to learn practical and useful skills that can help in securing employment in the future. Furthermore, Bikes 4 Life aims to provide each person at the center with their own bicycle, so they can visit their families without walking for days, giving them the ability provide for their families when they return home to their villages after rehabilitation, allowing faster and easier access to food, water and access education & medical facilities, giving them a real chance at overcoming the traumas of their past and getting ahead in life- against all the odds. 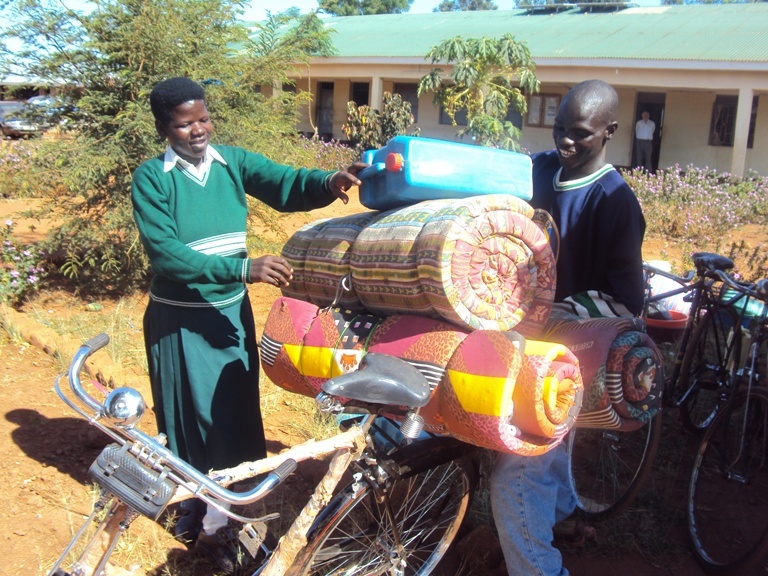 Alfa and Christine off to visit their families with the bikes we sent them for Easter! On behalf of the Bikes 4 Life Team and the Child Troopers Crew, thank you Visa Global – for making all of this possible and for helping us to help others…. 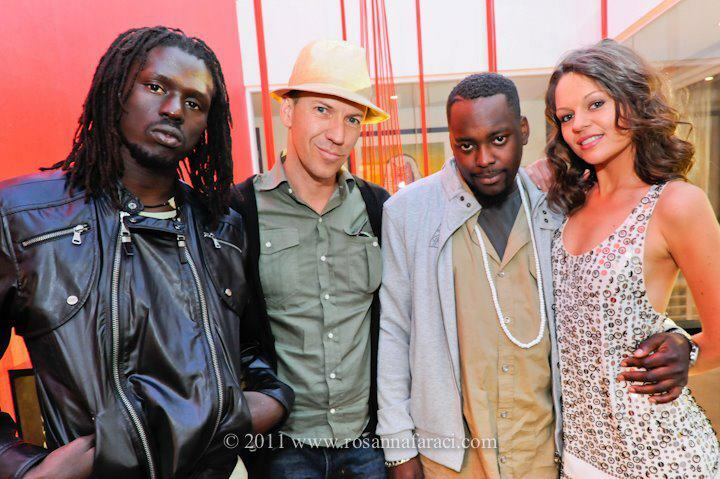 I had the pleasure of meeting Emmanuel Jal when he was touring in Melbourne just last month. We spent a few days together and he is an amazing person with a most horrific story that not many could ever comprehend. Emmanuel was recruited as a child soldier in South Sudan when he was only 7. For such a scarred and traumatized human being he has come through the darkness of his past and has become a ray of sunshine, with success, happiness… and a message of hope, promoting peace worldwide through his music. One night we rapped together at his apartment. He was trying to help me write a rap song for my charity Bikes 4 Life. We had a lot of fun! Here’s a photo of Emmanuel, Silva, Blair Stafford and myself at a charity event in Melbourne for Miss World Australia. We had a great time in Melbourne and I hope our paths cross again one day! Emmanuel is an inspiration. See more info below…. Below is an article from Unicef from an interview with Emmanuel. Emmanuel Jal performs during a panel discussion on children affected by conflict at the United Nations headquarters in New York, on 15 July 2008. When Emmanuel was seven years old, he was recruited by the Sudan People’s Liberation Army. He was one of thousands of children forcibly conscripted by the fighting forces. Many of those children did not survive. For Emmanuel, education was the invitation to expand his identity, not trade it for a new one. “I feel a responsibility. I was once one of them and I know a lot of child soldiers in the same position,” he says. In his newest album, ‘War Child’, Emmanuel Jal uses hip hop to spread a message of peace and reconciliation. Emmanuel has a profound understanding of the conditions that led to his becoming a child soldier and he is determined to use his own skills and talent to share his experiences with the world. He uses hip hop to spread a powerful message of peace and reconciliation. Emmanuel’s message has been broadcast on a wide variety of outlets, including CNN and MTV. A documentary about Emmanuel called ‘War Child’ recently won the Cadillac Audience Award at New York’s Tribeca Film Festival. His autobiography is due to be published by St. Martin’s press in 2009. Today, Emmanuel divides his time between London and Nairobi, but he has not forgotten his native Sudan. While still living full-time in Kenya, he founded the non-profit organization Gua Africa, which is dedicated to educating children affected by war and poverty in sub-Saharan Africa. Its main aim is to build a school in Leer, Southern Sudan, where Emmanuel is from, and which has the highest number of child soldiers in the area. The word ‘gua’ means ‘peace’ in Nuer, a language of Sudan. Kyria Abrahams contributed to this story from New York.